York Drama is back in full swing, announcing their upcoming season with a theme centered around the Martin Luther King quote “only in the darkness can you see the stars.” After last year’s award-winning productions, both students and staff are excited about this year’s shows. The season will begin with Peter and the Starcatcher in the fall, continuing with Shakespeare’s Much Ado about Nothing in the winter, and wrapping up the season with the spring musical Bright Star. Musical director Rebecca Marianetti adds that it’s also “the lens that you view things through” that ties these three different shows together. 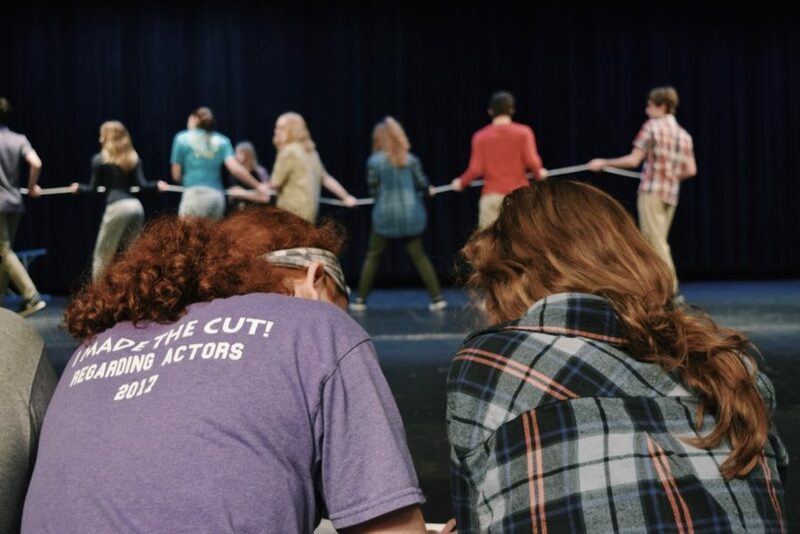 Rehearsals are already underway for the season’s first show, Peter and the Starcatcher. This outrageous comedy was nominated for nine Tony Awards, and precedes the classic Peter Pan, telling the story of how Neverland and all its inhabitants came to be. Putting this inventive show together has been a long time dream of Forsythe and Marianetti, who saw the show together years ago. They are enthusiastic to co-direct this inventive production. The actors interact with the set to form passageways and doors. The small cast has only 14 actors on stage per night playing over 100 characters, with every actor playing multiple roles. The cast, while small, offers great opportunities for actors in all grade levels. Freshman Owen Espinosa, who plays Smee, is ecstatic that Peter and the Starcatcher will be his first show at York. For their winter production, the comedy will continue with Shakespeare’s Much Ado About Nothing. York Drama is no stranger to Shakespeare, and Mr. Forsythe is excited to tackle yet another one of The Bard’s most celebrated works. The last Shakespeare production York performed, Romeo and Juliet, was a favorite for its cast. Junior Julia Stone is excited that York will be putting on another Shakespeare production at York, after performing in Romeo and Juliet her freshman year. The season’s posters hang in the choir room. 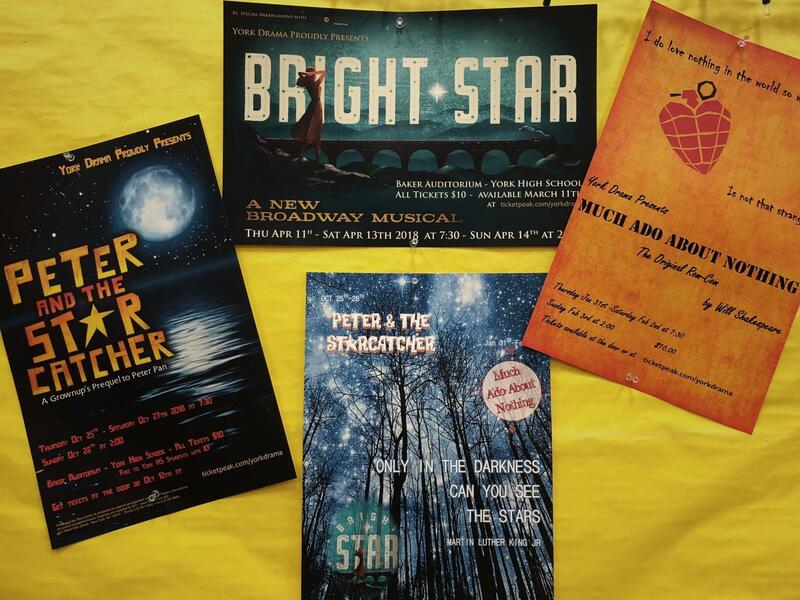 Finally, the season concludes with the much-anticipated spring musical, Bright Star. This country musical by Steve Martin and Edie Brickell is fresh off of Broadway, earning five Tony nominations during its successful run in 2016. York will once again be one of the first high schools to receive the rights, as they were with previous productions Dogfight and Tuck Everlasting. Director Rebecca Marianetti is thrilled that York has been given the opportunity to perform this show. Many students love the spring musical because it provides an opportunity for a larger cast and more kids are able to participate. The season can only be a success if the audiences are as enthusiastic as the cast and crew. Both Mrs. Marianetti and Mr. Forsythe encourage the student body to come and see York’s outstanding productions and experience the magic for themselves. 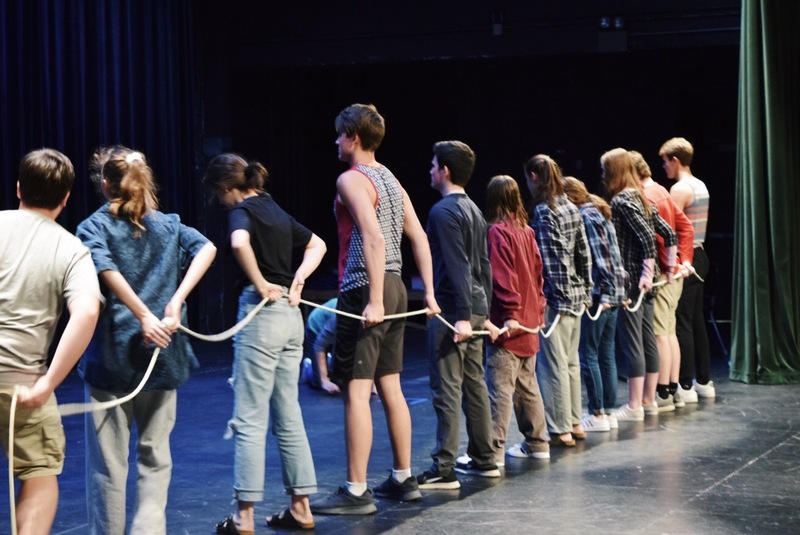 Check out the slideshow below for a look at rehearsal for Peter and the Starcatcher. Seniors Erin Lee and Bridey Costello take notes on the blocking.